black blue pink purple skin,etc. 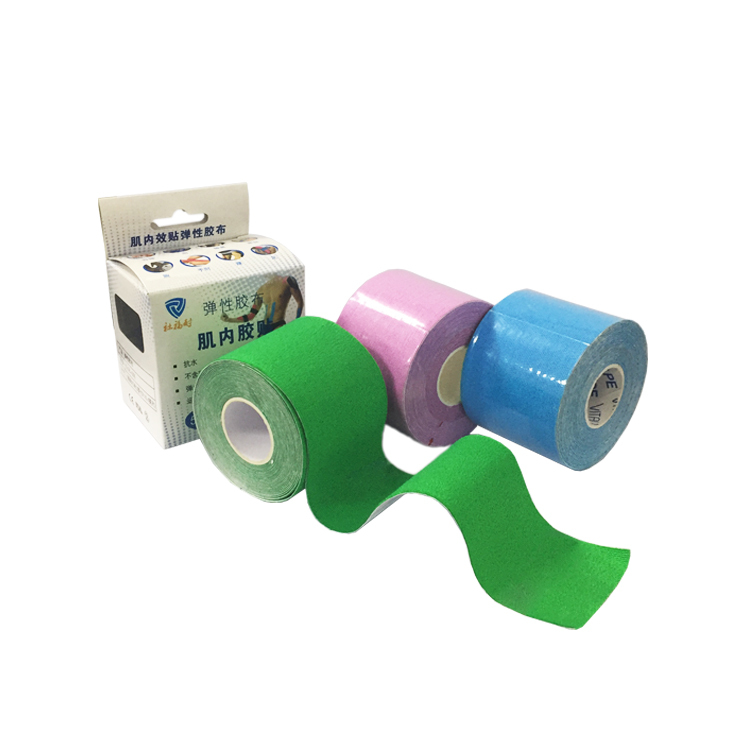 Normally we keep stock for beige, black, pink, blue color tape in stock available, we will ship assort colors to you if you didn't mention in your order. 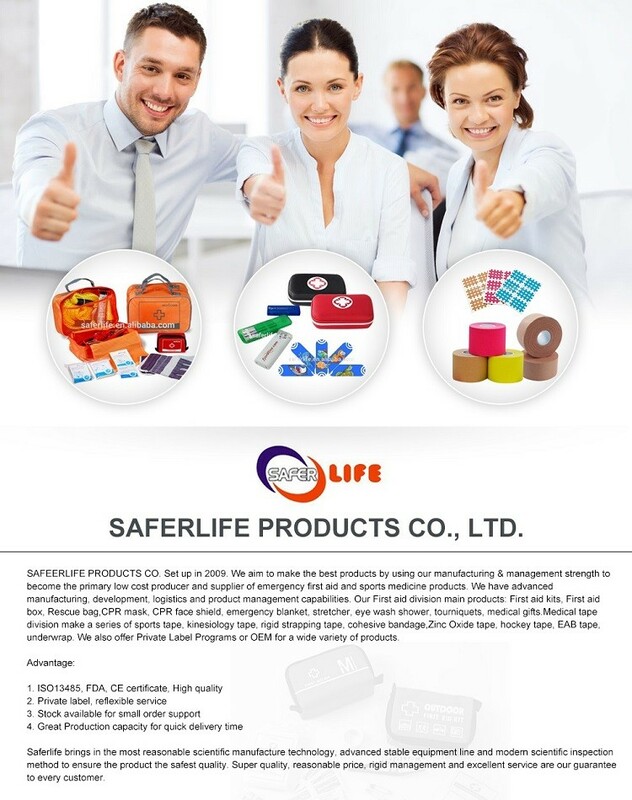 We will send you below box basic on our stock available, normally the golden color box stock available. kinesiology tape for support and activation of multifunctional body. 1. Providing stability to joints. 2. Supporting the function of muscles. 3. Encouraging the flow of fluids under the skin. 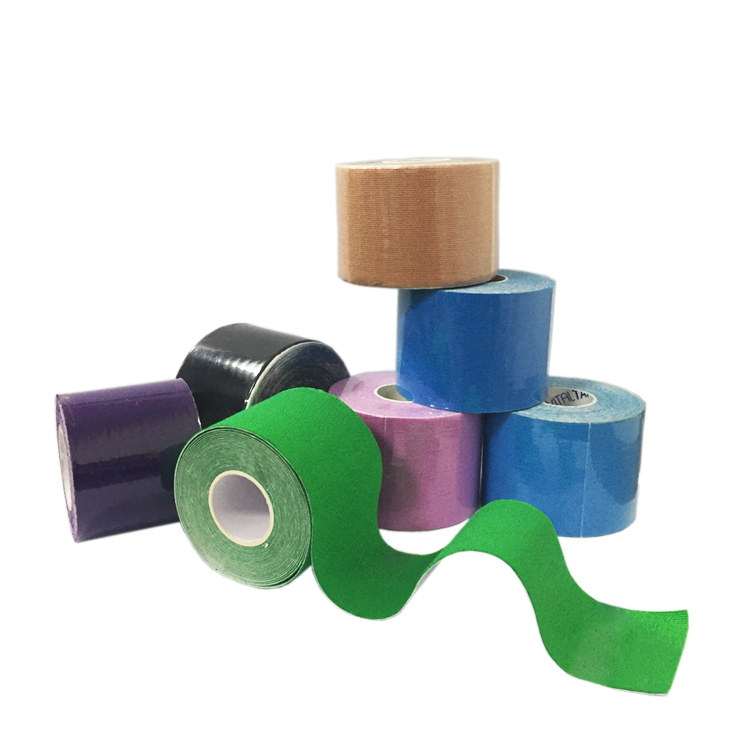 What benefits distinguish Kinesiology Tape (elastic sports tape, therapeutic taping) from other tapes? 2. 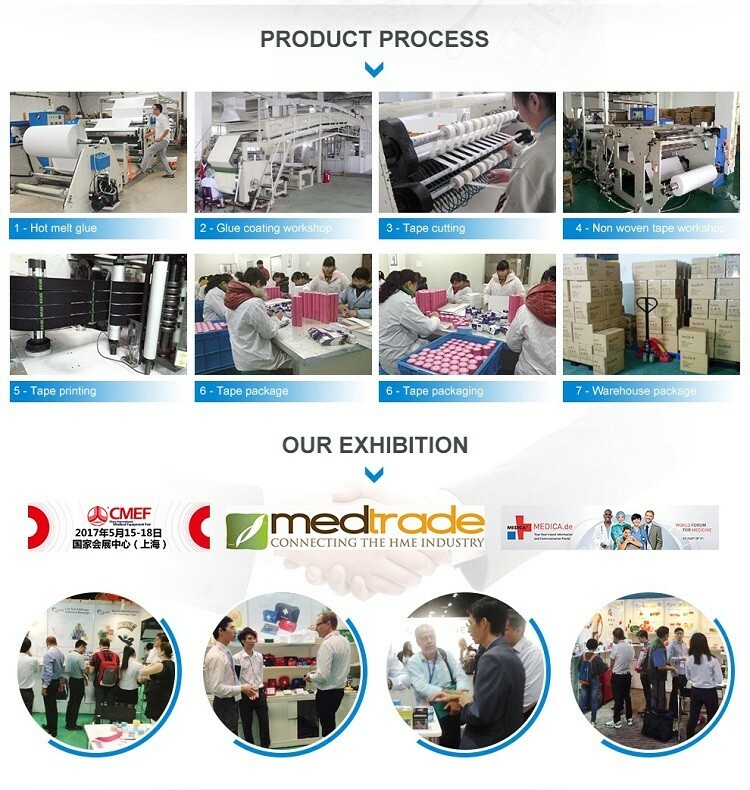 3 days keep stickness to skin, but no allergy. 1. Pain Relief - reduced pressure on pain receptors under the skin can provide relief of either acute or chronic pain. This is especially effective for pain from a “hot” injury, where the intensity of the pain is out of proportion to the severity of the injury. 3. Prevents and/or Relieves Spasms and Cramping - the same features that reduce inflammation can help prevent or relieve spasms and cramps in overused or injured muscles. 4. Speedier Recovery of Overused Muscles - fatigued, overused muscles contain byproducts of exercise (such as lactic acid) that contribute to pain and stiffness and limit the ability to continue exercising. When kinesiology tape is used over these areas, enhanced removal of these byproducts allows for more rapid recovery. This could translate into improved performance in an endurance event or more complete recovery between repetitive, high intensity events. 5. Provides Support without Restricting Range of Motion - the unique elastic properties of kinesiology tape allow it to provide support to an injured muscle or joint without restricting range of motion .